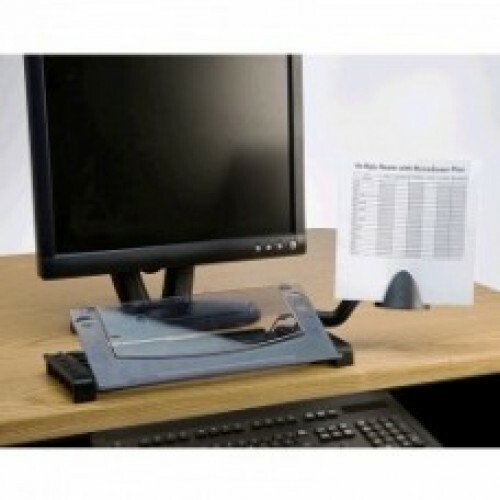 Same benefits as the VuRyte MemoScape Document Holder with 5" high expandable easel, 14" wide, includes writing surface and dry-erase marker, plus an adjustable horizontal document support arm that mounts to either side and pivots and swings. Easily adjusts for small or full-sized documents for your needs. 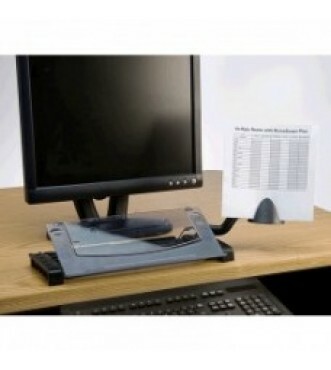 Ideal for workstations with or without keyboarding systems and monitor arms. Includes erasable messaging system.